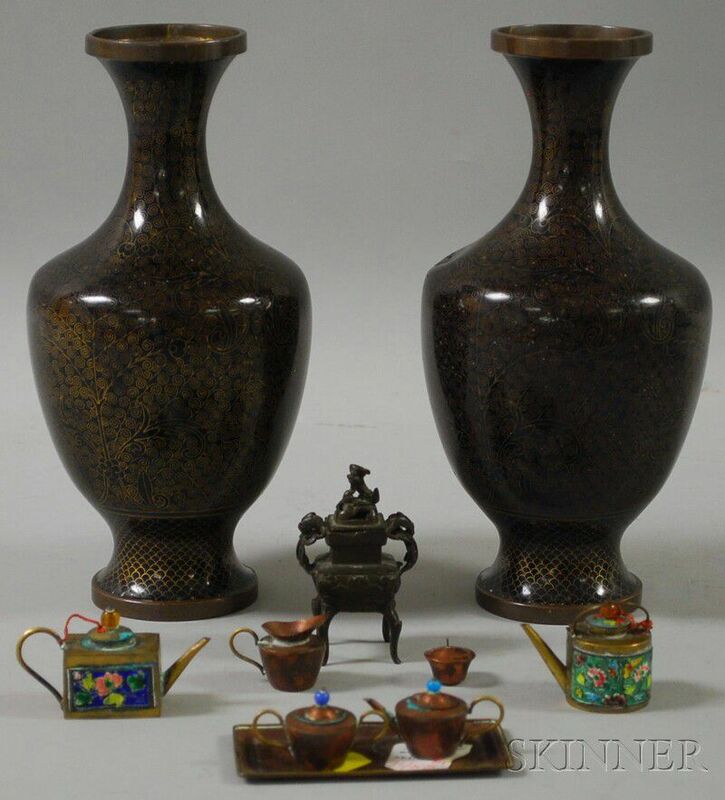 Group of Miniature Asian Metalwork Items and a Pair of Cloisonne Vases, a bronze censer, ht. 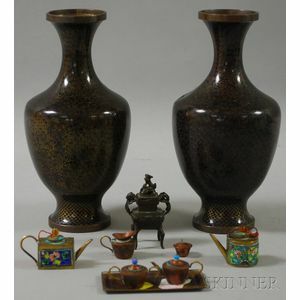 3, two enameled brass teapots, and a copper tea service with undertray, the pair of vases ht. 9 1/2 in.